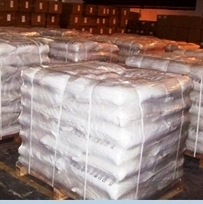 We also offer Magnesium Sulphate BP Magnesium Sulfate USP FCC ACS AR and Magnesium Sulphate Anhydrous or Magnesium Sulfate Anhydrous from a world class FDA approved, ISO-9001-2008, ISO-22000-2005 HACCP Certified facility with Kosher & Halal approval. Sulfuric acid magnesium salt (1:1), hydrate. 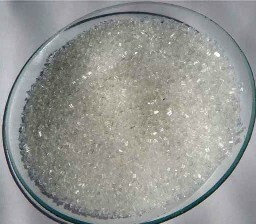 Magnesium sulfate (1:1) heptahydrate 246.48 [10034-99-8]. 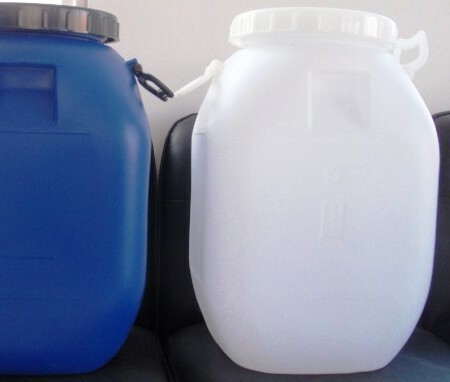 Magnesium Sulfate, rendered anhydrous by ignition, contains not less than 99.0 percent and not more than 100.5 percent of MgSO4. Identification: A solution (1 in 20) responds to the tests for Magnesium and for Sulfate. pH: between 5.0 and 9.2, in a solution (1 in 20). Loss on drying: Dry it at 105 for 2 hours: the anhydrous form loses not more than 2% of its weight. Loss on ignition: Weigh accurately about 1 g in a crucible, heat at 105 for 2 hours, then ignite in a muffle furnace at 450 ± 25 to constant weight: the monohydrate loses between 13.0% and 16.0% of its weight, the dried form loses between 22.0% and 28.0% of its weight, and the heptahydrate loses between 40.0% and 52.0% of its weight. Chloride: A 1.0-g portion shows no more chloride than corresponds to 0.20 mL of 0.020 N hydrochloric acid (0.014%). FOR MAGNESIUM SULFATE INTENDED FOR USE IN PREPARING NON-PARENTERAL DOSAGE FORMS: the limit is 20 µg per g.
FOR MAGNESIUM SULFATE INTENDED FOR USE IN PREPARING PARENTERAL DOSAGE FORMS: the limit is 0.5 µg per g.
Heavy metals: Dissolve 2 g in 25 mL of water: the limit is 0.001%. Selenium: The limit is 0.003%. Dried Magnesium Sulphate contains not less than 62.0% and not more than 70.0% of MgSO4. It may be prepared by drying magnesium sulphate at 100° until it has lost approximately 25% of its weight. Freely soluble in water; dissolves more rapidly in hot water. Yields the reactions characteristic of magnesium salts and of sulphates. Acidity or alkalinity: To 10 ml of a 7.5% w/v solution in carbon dioxide-free water add 0.05 ml of phenol red solution. Not more than 0.2 ml of either 0.01M hydrochloric acid VS or 0.01M sodium hydroxide VS is required to change the colour of the solution. Arsenic: 0.33 g dissolved in 25 ml of water complies with the limit test for arsenic, (3 ppm). Heavy metals: Dissolve 1.3 g in 20 ml of water and add 1 g of ammonium chloride. 12 ml of the resulting solution complies with limit test A for heavy metals, Appendix VII. Use lead standard solution(1 ppm Pb) to prepare the standard (15 ppm). Iron: 0.33 g dissolved in 10 ml of water complies with the limit test for iron, Appendix VII (30 ppm). Chloride: 0.13 g dissolved in 15 ml of water complies with the limit test for chlorides, Appendix VII (400 ppm). Insoluble matter: 7.5 g dissolves in 20 ml of water, producing a solution which may be slightly turbid at first but which becomes clear in a few minutes. Action and use: Osmotic laxative; used in treatment of electrolyte deficiency. A. It gives the reactions of sulphates. Solution S: Dissolve 5.0 g in water R and dilute to 50 ml with the same solvent. Acidity or alkalinity: To 10 ml of solution S add 0.05 ml of phenol red solution. Not more than 0.2 ml of 0.01 M hydrochloric acid or 0.01 M sodium hydroxide is required to change the colour of the indicator. Loss on drying: 48.0 per cent to 52.0 per cent, determined on 0.500 g by drying in an oven at 110-120°C for 1 h and then at 400°C to constant mass. Magnesium Sulfate occurs as a colorless crystal or a granular crystalline powder. It is produced with one or seven molecules of water of hydration or in a dried form containing the equivalent of about 2.3 waters of hydration. 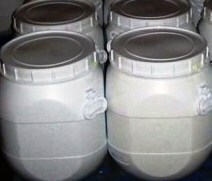 It is readily soluble in water, slowly soluble in glycerin, and sparingly soluble in alcohol. Identification: A 1:20 aqueous solution gives positive tests for Magnesium and for Sulfate. Assay: Not less than 99.5% of MgSO4 after ignition. Loss on Ignition Monohydrate: Between 13.0% and 16.0%; Heptahydrate: Between 40.0% and 52.0%; Dried: Between 22.0% and 28.0%. Selenium: Not more than 0.003%.